One of the difficult things we have been confronting the last few years, in almost daily revelations, have been public accusations against powerful men accused of crossing boundaries of sexual propriety. Though not a new development, these aggression’s are finally receiving the attention they deserve in the Movement that has been named #MeToo. I want us to take time to reflect on this disturbing phenomenon for the lessons it teaches that are central to the theme of Yom Kippur. The principles of repentance, forgiveness, and atonement can guides us here, whether applied on the grand scale of #MeToo, or to less dramatic, but still important instances of how we relate to each other. Contemplating this sermon, I debated whether to name names of those accused. I thought better of it. There are so many instances that could be cited; how could I name some names and not others? Instead, let us reflect on patterns that have been repeated again and again. I leave it to you to fill in the examples that come to mind. We are all familiar with the patterns. Some well-known figure in business, the arts, politics, media, religion, or really in any field, is accused of sexual misconduct. Overwhelmingly the victims are women. Attempts may have been made by accusers to bring their complaint to the organization involved, or even to file a report with the police. Women who spoke out put themselves at risk, sometimes having to bear the consequences of being interrogated, of being shamed, or even of putting their careers in jeopardy. At times, other women have stepped forward to add their voice to the complainant’s to prove that these were not isolated examples. It is rare that a person crossing such boundaries has done so only once, so there are often multiple accusations. Once past the disappointment of hearing charges made against successful, prominent men, who perhaps have done much good in the world, we would watch how the person accused and the organizations where they operated chose to respond. Sometimes they have been in complete denial of the allegations; others claimed that what took place was consensual. At times, there has been a full acknowledgment of misconduct and an expression of regret. In some cases, people stepped down from their positions or were fired. In other cases, organizations began to evaluate the complaint to determine how to deal with it. In the most egregious cases, there have been criminal prosecutions. One thing that no doubt makes our community particularly uncomfortable is the number of Jews implicated in this. Jews have received more notoriety than we would wish, and as a Jewish people, we are understandably sensitive about it. It should serve as a reminder that no group is immune from people engaging in exploitative behavior. Just yesterday an article appeared in the blog of E-Jewish Philanthropy by Dr. Elana Sztokman entitled, “Don’t Be a Bystander!” Dr. Sztokman urges us to grapple with what she considers unique dynamics of these accusations in the Jewish community. She is right in demanding that we not shirk our communal responsibility for addressing them. I have a special interest in this topic because for more than 13 years I have served on the Vaad Hakavod (the professional ethics committee) of The Rabbinical Assembly, our Conservative Movement’s international body of 1700 rabbis. Six of those years I served as Chair. This role, unfortunately, required me to listen to people accuse rabbis of all kinds of misconduct, in order to evaluate the claims, to decide what kind of disciplinary action to take or not, and whether or when a rabbi could return to service. The Vaad HaKavod is responsible for handling a variety of complaints from financial misconduct to serious infractions of religious observance, to sundry other areas covered by the RA’s Code of Professional Conduct. Our Code is available online on the public side of the RA’s website, where anyone may consult it. Thankfully there are a relatively small number of such cases. Among our most difficult cases are those related to sexual misconduct, the kinds of accusations called out by the #MeToo Movement. Clergy are people too, with all of the same drives and flaws that exist in others. It is understood by those who work on issues of sexual abuse that such boundary crossings, while acted on sexually, are primarily about the use of power. 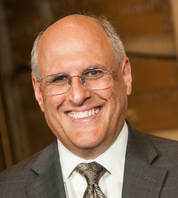 Someone who offends may claim that it was a consensual relationship, or that the woman had been seductive, but it is the responsibility of a rabbi to maintain appropriate boundaries and one cannot honestly say that a relationship is consensual when there is a significant difference in power between the parties. And even now, when there has been progress in condemning sexism and advancing feminism, men continue to dominate position of power in our society, which put women at risk as we have seen in the many instances of sexual harassment aired these past years.Because of my work on behalf of the Rabbinical Assembly, I am careful about how I judge cases that are widely publicized. I have come to appreciate that these situations can be quite complex. I have also learned that it is rare that such accusations are false. There are times when people misidentify the person who has abused them, but seldom does someone simply make up such an accusation. When accusations come up in the realm of politics, I find it troubling when people look at these situations through a partisan lens. If the person accused belongs to a party I support, they should be judged more leniently than if they are part of the opposition in which case there should be zero tolerance. That is just not right. I also find it problematic when people make harsh judgments about these cases without the full knowledge of what has occurred. It is very important that there be bodies to determine when actions are inappropriate and cases involving criminal action, such as offenses against minors, are best handled by the police. In some states like Minnesota, there are legal sanctions that apply to abuse that occurs between a therapist or clergy, and someone they counsel. It is critical that for-profit and not-for-profit organizations have clear guidelines for handling misconduct and that they enforce them. For the record—our synagogue has a harassment policy in place that applies to both staff and volunteers. Another important thing to consider is that not all offenses and offenders are the same. Making judgments about complaints of sexual misconduct requires one to make thoughtful distinctions between differing levels of offenses and offenders. Dr. Gary Schoener, the retired director of the Minneapolis Walk-In Counseling Center, is one of the people who provided me with invaluable guidance in this work. A national expert with experience handling more than 3000 cases of therapist and clergy abuse, he has made a major contribution to the field in general and was very helpful to the Rabbinical Assembly as we considered our policies for dealing with such complaints. Dr. Schoener and his colleague John Gonsionek are acknowledged for their work in creating a typology of sexually exploitative counselors that is still widely referenced and which is helpful in making distinctions among those accused. In a typology of six different types of offenders, they distinguish from the least difficult-mild offenders whose inappropriate comments or actions can be corrected with remedial education as opposed to those with character disorders, narcissistic personalities, or outright psychopaths who are incapable of accepting responsibility for their actions. For me, one test of the kind of person we are dealing with is whether they are embarrassed by the accusations, or are completely incapable of accepting blame when confronted with an allegation of misconduct. Offenders who fall into this latter category are often beyond treatment, so the best we can do with such rabbis is to get them out of the organization, the most our Vaad HaKavod is empowered to recommend. There are people who have made bad choices who can remain in the profession with proper psychological and spiritual counseling and rehabilitation, but it can be a long path of return. In the work of the Vaad Hakavod, I have found these decisions about whether and when a rabbi, found to have been involved in sexual misconduct, can return to service in the field to be among the hardest to make. As the #MeToo cases pile up, we now see this important question of rehabilitation being widely discussed with broad ramifications. A colleague in Chicago, Rabbi Danya Ruttenberg provides valuable guidance for thinking about this in an article she published in the Washington Post on Sept 6. Rabbi Ruttenberg expresses concern that many of the men involved in #MeToo accusation seem to be seeking easy forgiveness. Men whose careers seemed ruined are now angling for comebacks, letting their supporters know that they will soon be back to the stage, or screen, or pursuing new opportunities. She asks the right questions: Are these men sorry? Should they be forgiven? Who has the right to forgive them? She wisely observes that Judaism has deep wisdom, which is the focal point of this season, about teshuva — repentance, and repair for wrongs done. The concepts that she has conveyed to a general audience can well be captured in three Jewish concepts related to forgiveness: Selichah, Mechilah, and Kapparah. As I pointed out in the vidui these three terms serve as the refrain for our confessional. There they refer to God’s action, but we know from the famous Mishneh from Yoma 8:9 (Machzor Lev Shalem, p. 40), before we can hope for atonement from God for actions against another person we must first reconcile with the person we harmed. Rabbis differ in their understanding of these terms, but I found especially clear definitions provided by Rabbi Yaacov Haber, derived from the 16th c. Mussar classic Tomer Devorah by Rabbi Moshe Cordovero. Mechilah, which literally means “wiping away” is the response to the request, “Can we put our relationship back on the level on which it was before I sinned against you?” It is a response reserved for the person against whom the offense has been committed. Kapparah, is usually translated as “atonement,” as in Yom Kippur, the Day of Atonement. Only God can provide kapparahatonement to someone who has committed an offense and that is understood by our tradition to be accomplished on this holy day. These categories of forgiveness that are at the heart of the work all of us need to do at this season are enlightening in the #MeToo cases. How do we judge that there has been adequate slichah asking for forgiveness? While an organization or court may determine guilt, only the person hurt can give mechilah—forgiving the person who has hurt her. Rabbi Haber reminds us of the rabbinic view that it is cruel to be unwilling to forgive a person who genuinely seeks it. However, Rabbi Ruttenberg wisely asserts that it is only right to ask about the sincerity of those who claim to have repented. Have they been sincere in their slichah in asking for forgiveness? Have they taken actions that demonstrate their remorse? Rabbi Ruttenberg observes that in too many of the #MeToo scandals it is not apparent that real effort has been made to repair the harm done. In the absence of that work, it is unjust to say that those who have done real harm should be allowed to put it behind them. Postscript: Reflecting on this sermon that I delivered on Yom Kippur Day, I want to add an additional thought about the possibilities for genuine healing in situations such as those raised by the #MeToo Movement. My years working with the RA’s Vaad HaKavod have given me an appreciation of the healing this committee has helped foster. Healing begins to take place when a person who has been wronged is listened to and taken seriously. Healing is advanced when a person who has been harmed sees the wrong done to them acknowledged and hears that there will be consequences for what took place. A person taking responsibility for having done harm contributes to healing of themselves and of the one they harmed. Enormous healing can occur when a heartfelt apology is offered with a promise to seek help and never to repeat the transgression. May our tradition of slicha (seeking forgiveness) and of mechilah (giving forgiveness), when it is warranted, enable healing to occur in our world. NEXT We need your St. Paul Artifacts and Photos!